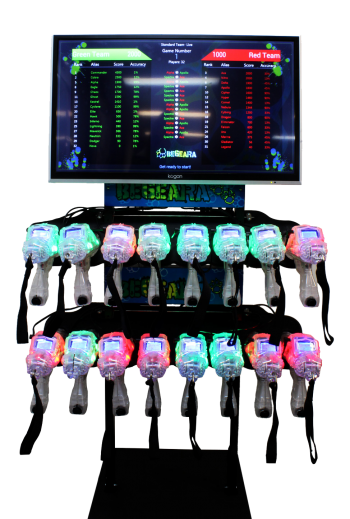 Begeara Black Paw is the most compact and versatile indoor laser game system on the market today. The Begeara system is a an easy to set up, light weight, highly flexible system that has proved itself to be ideal for soft play centres – currently successfully being used in 100 soft play centres across the UK. Black Paw also showcases a new “Birthday” feature to start the game. A designated phaser will sing “Happy Birthday” and get rapid fire to make the child feel extra special and hopefully win.